One of my favorite times to live in the splendor of anticipation is at a restaraunt. 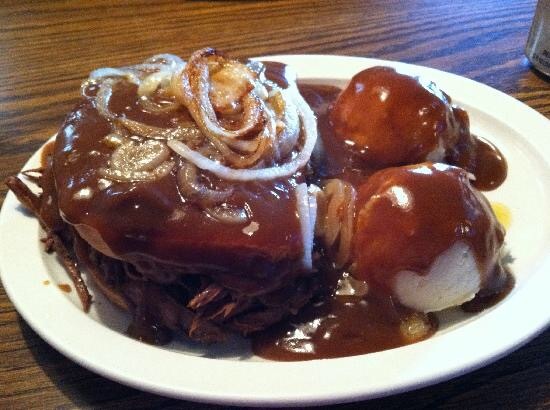 The following image was found through a google search for my favorite meal of all time, when made right, the roast beef commercial. This is from Bobby Joe’s Pub and the photo is attributed to Trip Advisor. Doesn’t that just look amazing???! 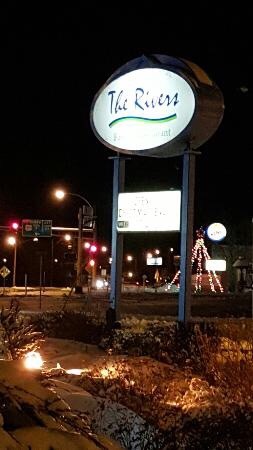 My wife and I have a favorite restaraunt in our home town called The Rivers. Seriously, if you are ever in Montevideo, Minnesota, this is the place to go!!! The food is definitely worth the wait and the aroma from the kitchen wafts through everywhere when the chef is working his magic on the entrees!! I admit, when there I typically go for their breakfast items or the country-fried steak. And my wife and I will usually share an order of breaded mushrooms with ranch as an appetizer. The staff at this location is like family when you visit more than once! I think that may be because it is owned by a family, I think. Don’t quote me on that if you visit. But trust me, you want to make an opportunity to visit our little village town and stop in at The Rivers. It will be worth the wait while you drive, or fly, or take a train here!! If you fly or take a train you will have to drive part of the way, but that will help the anticipation grow as you view the scenic areas around here. Even visiting now when we have a few inches of snow on the ground is a welcome adventure! Are you filled with anticipation of seeing the river valley, where The Rivers derives its name? You should be! I have been here for almost six years now. I grew up 30 miles south of here, so I am accustomed to it. I left for almost a decade of my life, but the river called me back so I could meet my wife! Who knows what awaits your arrival in Montevideo, Minnesota today!! Plan a trip and come see us! I am filled with anticipation at the thought I could meet some readers from this one post! Next A Day Of Thanksgiving! !